Having a strong immune system is the secret to living a fit and healthy life. Stronger immunity or immune system of your body helps defend itself from various types of illness and symptoms like seasonal infections. Stronger immunity means, your body can easily defend itself from common symptoms like cough and cold etc. But sadly, when it comes to immunity, not every one of us is equally blessed and the strength of our immunity may vary widely. Some of us may have stronger immunity and others may have weaker immune system. But the great news is that, immunity can be increased. And even if your immune system is comparatively weak, you can easily increase your immunity and that’s what we are going to discuss in today’s post. I am going to share everything worth knowing about immunity, including how you can increase your immunity and live a much healthier and happier life. As you know, the immune system is basically the defense mechanism of our body and it is primarily responsible to fight and protect our body against different types of infection and diseases. We all have different types of body and so the immunity of one individual may be stronger or weaker than the other individual. Immunity may become weaker due to age, diseases and other factors. However, having a weak immune system must never be taken loosely, because if it is ignored you may fall sick very frequently. Falling sick every now and then can be exhausting both mentally and physically and so, if you want to avoid this terrible situation, you yourself have to put efforts to strengthen your immune system and bring it back on track. Now, for little kids, there are some specific immune boosting foods that can help strengthen immunity easily and naturally. But for grown up adults, there are other home remedies which will be very helpful in strengthening your immunity. And if you are wondering about which remedies can help you to increase and strengthen your immunity then continue reading this post, as we discuss a few of the best home remedies to increase immunity naturally. Besides maintaining a healthy lifestyle practices, you may like to try these remedies that is being discussed in this post, and I am sure you’ll be able to increase your immunity super quickly. We all want to fight the common cold or the infections but if your body is unable to resist it and you fall sick too very often, then it is definitely a matter of concern. Of course, there are vaccinations, medicines and other treatments to help you fight the pathogens but it is always better to go the natural way. Firstly, because they are safe and there is minimal chance of side effects and secondly, because they are cost effective in comparison to the other types of medicines. However, in order to know that you got a weak immune system, you need to identify the symptoms well. So, I have discussed below some of the common signs and symptoms that you may observe when your immunity is at stake. Cold hands, fingers, nose, ears, toes etc. Now, that you know about the common symptoms of weaker immunity, it is equally important for you to know what causes your immune system to become so weak. This may help you in preventing it in better ways. Diseases like Diabetes, cancer, AIDS etc. Weak immune system may lead to several diseases, some of which may become life-threatening as well. So, the sooner you take the help of the home remedies to increase your immune naturally, the better for you. How to increase your immunity using natural remedies? Nature has provided us with many ingredients that possess the power to increase your immunity and boost your immune system. It is time that instead of just depending on medicines, you explore and use them properly to increase your immunity. Here are the best remedies that’ll help you to increase your immunity easily and super quickly. Natural ingredients are the best and so you may use some of the remedies to boost your immune system listed as under. These are scientifically proven to be really effective and so, you can be sure of getting the maximum result in boosting and increasing your immunity. One of the best home remedies to boost your immune system is by consuming ginger tea on a daily basis. This is because ginger is rich in gingerol which is nothing but an anti-inflammatory compound that is potent enough to reduce the inflammatory reactions occurring inside your system. Moreover, ginger is a natural antioxidant that detoxifies your system and strengthens your immune system. Ginger is easily available and you must make it a part of your day to day diet. Making an immune-boosting ginger tea is easy. You just have to take 1 teaspoon of minced ginger, 1 cup of water and some honey. Boil the ginger in the water. Simmer it for 5 minutes and then strain it. Then allow the tea to cool down a bit and then add some honey in it. Consume this tea two times on a daily basis to increase your immunity. Garlic contains allicin, a compound that possess antioxidant and antimicrobial properties which will help fight the pathogens and will keep your immune system strong. Also, garlic contains several other organosulfur compounds which exhibit immunomodulatory effects, which in turn, gives a proper boost to your immune system. The process is really very simple. Just take around 1-2 peeled cloves of garlic and then chew them. Also, you can add the minced garlic to your salads and dishes. Do this on a regular basis to increase your immunity. Probiotics or “good bacteria” not just helps in maintaining a good digestive health but also is great in boosting up the overall immune system. Now, studies have already shown that taking probiotic supplements could combat common cold and infections which mainly results due to weak immune system. But you may also consider having fermented foods like yogurt that is considered to be probiotic in nature. Probiotic yogurt aids in meditating immunoregulatory effects by regulating the functioning of your intestinal and immune cells. Therefore, having probiotic yogurt is one of the best home remedies to boost your immune system easily and naturally. To get the maximum benefits in increasing your immunity, you just have to consume a bowl of probiotic yogurt every day and you will feel the boost in your immunity easily. The benefits of turmeric are many and that also includes giving a boost to your immune system. The reason why it is so beneficial is due to the presence of curcumin which is an excellent antioxidant. It also possesses anti-inflammatory and anti-microbial properties that provide you with protection from several diseases by strengthening your immune system. To gain maximum immune-strengthening benefits from turmeric, all you need to do is to add a teaspoon of turmeric powder in a glass of milk and drink it on a daily basis. Trust me; this is going to make you very strong and healthy. Using the popular herb ginseng is one of the effective home remedies to boost your immune system naturally and research has already proven it. Ginseng improves the resistance of the body to the pathogen attacks and infections. In a cup of hot water, mix around 1-2 teaspoons of ginseng tea. Steep it for 5 minutes and then strain the mixture. After that, to add some flavor to it, you may like to add some honey. Then drink it. For maximum benefits, you may drink it 2 times a day. Continue for around 2-3 months and then you will automatically feel the difference in your immunity. You may not be aware but apple cider vinegar is a great ingredient to give a boost to your immune system. This is because apple cider vinegar is rich in nutrients and is anti-microbial in nature. It has got the potential to help your body get rid of all the harmful toxins and protect you from infections by strengthening your immune system. You may have used lemon juice so far for adding flavor to your dishes or used it to remove tanning, but do you know that lemon juice is an effective home remedy to boost your immune system? Well, in case you do not have much idea, let me tell you that lemon juice is a perfect immune booster thanks to the presence of Vitamin C in it. Now, Vitamin C is quite well known due to its ability to improve immune responses and studies are a proof to that, so, lemon juice is quite effective in strengthening the immune system. Moreover, lemon juice also possesses antibacterial properties that is highly effective in treating the infections, and hence it further helps in keeping you healthy. If you want to gain maximum benefits, then it is best if you take half a lemon and then squeeze the juice of it into a glass of water. Then add some honey and consume it immediately as if kept for long, it may turn bitter. You can drink this twice daily. The kind of lifestyle we are leading today is very hectic and too fast paced which actually puts a lot of mental pressure on us. We, all the time remain in a competitive mode where we look for opportunities to get forward in life than others. In other words, amidst all of the rat race, we seem to have lost peace from our lives. Now, while ambition is good as it takes us forward in life, constantly trying to reach goals can also give us a lot of stress. And, that stress can also affect the personal life and cause more stress. In short, problems, both from professional and personal front have increased a lot and most of us remain stressed all the time, which in turn has a very bad impact on our health. I mean stress weakens your immune system and if your immune system is weak, automatically you are bound to fall ill fast. So, you have to manage your stress at any cost to prevent weakening of immunity. Now, stress management is never easy but you can at least take the help of relaxation techniques like listening to music, meditation, yoga etc. to get some relief. You may even take up unique ways to instantly boost your mood to make yourself happy. Inadequate sleep is one of the primary causes behind the weakening of your immune system and so, you need to get enough sound sleep for at least 7-8 hours. The reason behind this is if you sleep properly, your body remains charged up which helps it to fight the pathogens better. In contrast to that, if your body is stressed up due to inadequate sleep, then the pathogens will find it easy to attack your system. Moreover, sleep deprivation leads to the increase in the levels of stress hormone cortisol in the system that further is a reason behind the weakening of the immune system. Therefore, it is important that you maintain a proper sleep routine and get minimum 7-8 hours of sound sleep on a daily basis. And, if you have problem in falling asleep fast, then you may like to check this post that explains about how to sleep like a baby even when you are stressed. Needless to say, eating right keeps you healthy and so it is my request that you eat the healthy nutritious foods and get rid of the unhealthy processed foods. Now, by healthy foods I mean a balanced intake of nutrients so that your body gets all the necessary nutrients in the right quantity. This is because excess or deficiency of any nutrient will have negative impacts, so it is better to make a proper diet chart and follow that. 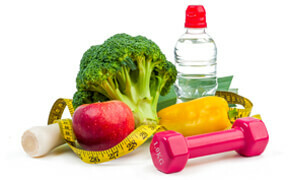 However, keep the basic diet rules in mind as that will always help you in staying healthy. If you are leading an unhealthy lifestyle, it is bound to have an impact on your immune system and overall health. So if you want to stay fit and healthy, then you should have that discipline in your life. Well, unhealthy practices may include various things but, in this context, I meant your habit of excessive smoking and drinking. See, both are very injurious to your health and weaken your immune system to a great extent, and leave you vulnerable to diseases. To be more specific, too much alcohol intake increases the chances of you getting affected by kidney and level diseases while excessive tobacco causes bronchitis and pneumonia in individuals. So, I would request you to get rid of alcohol and smoking if you want to strengthen your immune system again. Now, you may be thinking as to why I am asking you to expose yourself to sunlight? Well, it is true that too much of exposure to the harsh ultraviolet rays of the sun causes a lot of skin damage but it is also a fact that sunlight is a natural source of Vitamin D which is a very important nutrient needed by your body. Also, studies are proving that the effects of sunlight can actually have positive impacts although more research needs to be done on it. Like for example, in one study, it showed that Vitamin D supplementation reduced the risk of Influenza A, so naturally if you expose yourself to sunlight (which is a natural source of Vitamin D), then you may be able to prevent many such diseases from occurring. However, by sun exposure I did not mean that you literally have to stay outside in the sun every time. You can actually go for walks in the morning or in the evening where the rays are not so scorching, instead it is quite pleasing. If you exercise on a regular basis, then your body will remain strong and healthy and a healthy, strong body means that your immune system is also functioning at an optimal level. Moreover, few exercises like basic stretching, yoga actually help you get rid of the negative energy within you and turn it into positive. This helps a lot in stress reduction which automatically will help in strengthening of the immune system in the long run. In addition to the above, your body weight remains in control if you do regular exercises. This is important to note as obesity leads to several health problems and may weaken your immune system as well. Thereby, please dedicate at least 20 minutes to exercise daily to stay fit and healthy for long. Over to you: what are you doing to increase your immunity? I always had a lot of faith in going the natural way when it came to solving certain health and beauty related issues. Of course, when the matter gets serious, you do need to consult a good doctor and take medical help. But if any particular problem can be solved using natural ingredients and without taking too much of medications, then I think that is worth giving a try. Today, we I have talked about the immune system and how it defends us, what can be the disadvantages of having a weaker immune system. We also discussed about the causes and symptoms of weaker immunity. But, unfortunately due to some factors our immune system often gets weakened resulting to us suffering from frequent health issues. Now, in order to boost the immunity, we have to get to the root of the cause. After identifying what is leading to the problem, you need to start with the remedies to boost it. Luckily, there are many easy and natural ways to increase your immunity and we have discussed many of them in today’s post. I have already given you a list of several home remedies to boost your immunity naturally. I have explained why these ways are so effective and have also given you ample scientific proofs to support my points. I myself follow these and by God’s grace, I and my family members are hale and hearty. You can also gain the benefits provided you implement the steps properly. However, discipline is always very important, so besides the remedies, you need to be disciplined in life. At times going out of track is fine but that does not mean that you will not maintain a proper routine in your life. After all, when it is a matter of your health and immunity, you cannot afford to compromise with it at any cost. I am hopeful that these home remedies to boost your immune system will be of great help for you and by following these remedies; you’ll be able to lead a healthy life. So, make these a part of your lifestyle and enjoy the stronger immune system. What do you do to ensure you have a good, stronger immune system? Which is your favorite remedy to increase immunity? Feel free to share what works for you in increasing immunity. Until then, stay healthy, stay happy, and I will be back soon with some other healthy and interesting topics.